When the Waverley Route (Carlisle to Edinburgh) was down for closure in the 1960’s a young Liberal MP stood alongside his constituents and fought to try to save it. Alas the dirty deed was done anyway, only for some of it to reopen earlier this year. 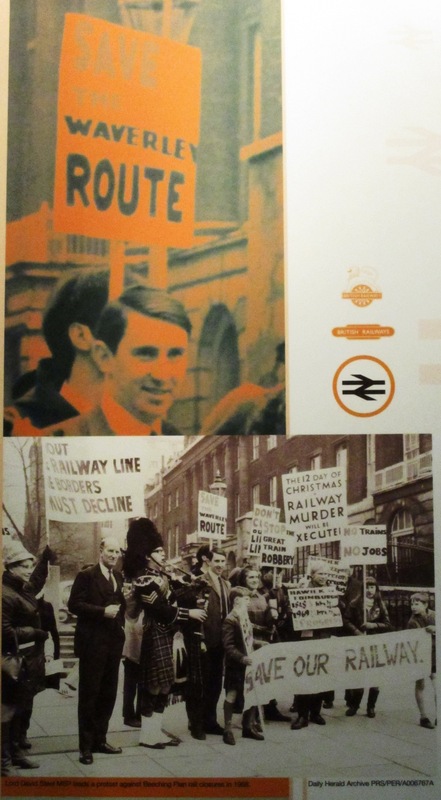 The writing on the bottom of the photo is too difficult to read even when expanded but it says ‘Lord David Steel MSP leads a protest against Beeching Plan closures in 1968’. Of course back in the day he was just David Steel MP with both a Lordship and being a member of the Scottish Parliament being many moons away. Indeed, a Scottish Parliament was very far from being a reality back in 1968. Just goes to show how words can mislead even when they are intended to be informative, as in this case. The reader, without any background political knowledge would think that Lord David Steel MSP led the campaign. 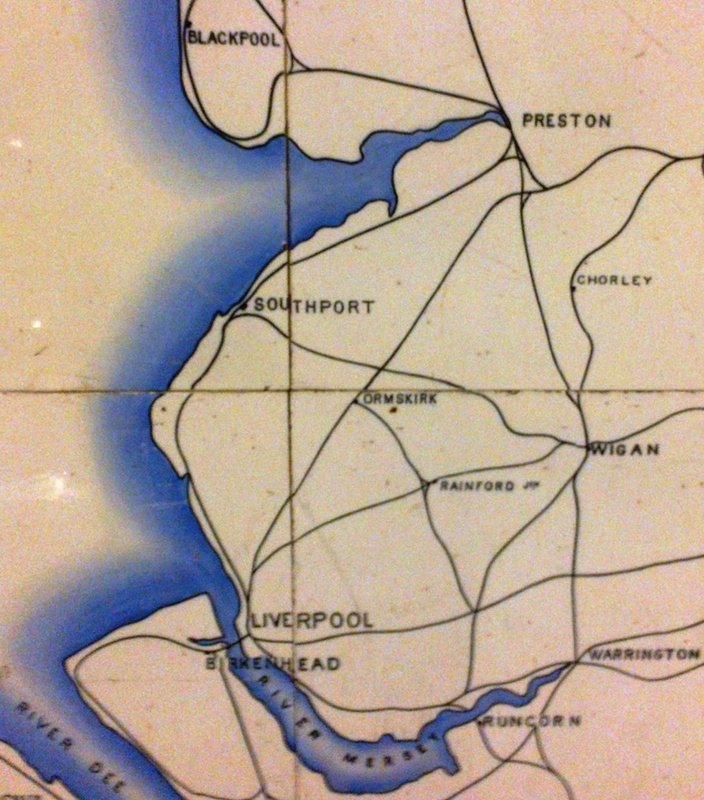 The North Eastern Railway had a number of these tiled maps produced for display at major railway stations. Each one was made up of 64 ceramic tiles with a ceramic decorative border. The photo above shows Greater Merseyside and was taken at the National Railway Museum in York where a restored original map is displayed. Although it does not show all railways the routes north of Liverpool are well displayed. The sadly missing lines, in the present day, are the Southport Preston line (known locally as the Lettuce Line) and the Ormskirk – St Helens line via Rainford which was obliterated when Skelmersdale New Town was built in the 1960’s leaving the Town without a railway station! 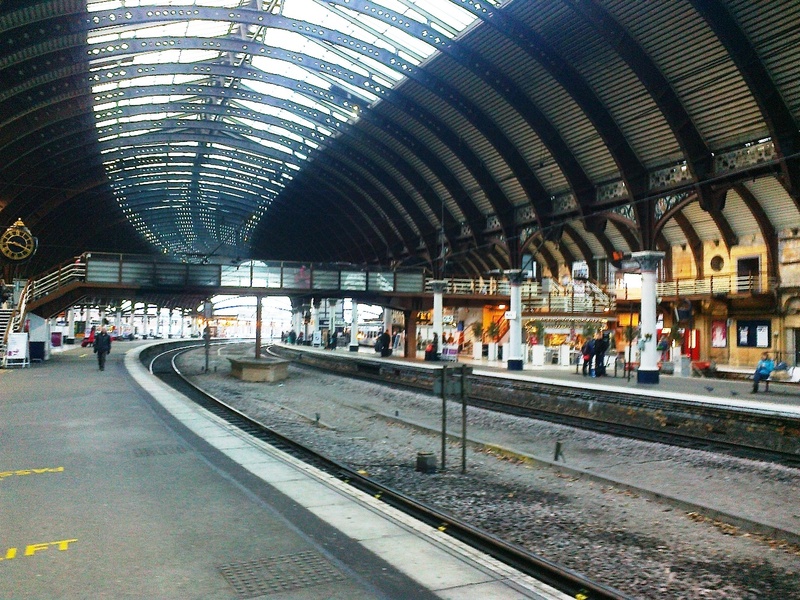 Now there are campaigns to take a railway back into Skem at huge cost and one to reinstate the Burscough curves as the northern one of which would again allow trains to run between Southport and Preston all be it via a different route. On the former West Lancashire Railway line from Southport to Preston and 3rd rail electrified too. Crossens is on the northern side of Southport. 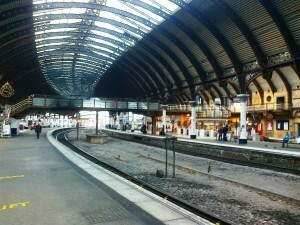 A line like this would never have been shut these days; shame it did not survive the Beeching era. The alternative route for Southport – Preston trains would be/still could be via Burscough but this would need the the Burscough North Curve to be reinstated. Quite doable and the Ormskirk Preston and Southport Travellers Assn (OPSTA) is campaigning for that amongst other things. 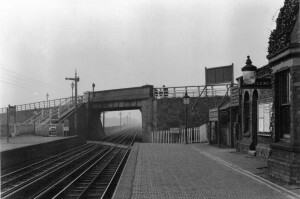 The Ormskirk – Preston line crosses over the Southport – Wigan Line at Burscough. 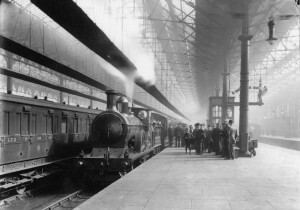 The photo was purchased from the National Railway Museum’s collection at York. For those of you who like a little Liverpool heritage here is a shot of the old Liverpool Exchange Station, which I recently purchased from the National Railway Museum in York.